Another Mrs. Alex. McVeigh Miller novel from our collection is available for proofreading on the Distributed Proofreaders site. 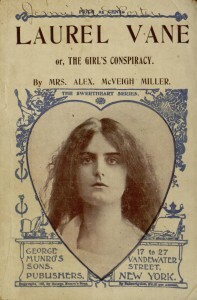 Laurel Vane; or, The Girls’ Conspiracy was first serialized in the Fireside Companion during 1883 and was later reprinted in book form. 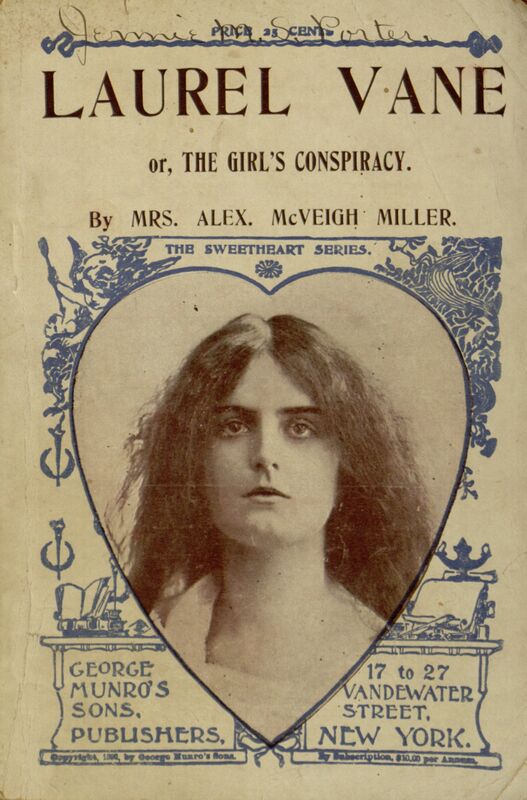 The author apparently enjoyed this novel enough to make reference to it in one of her later works; in Pretty Geraldine, the New York Salesgirl, some of the characters stage a play based on Laurel Vane. You can learn more about the proofreading process from this earlier post; when you are ready to join in, you can help with the work at the project page.